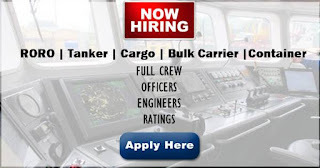 SEAMAN JOB INFO - Posted/Feb/2019 INC Navigation Company Philippines, Inc. 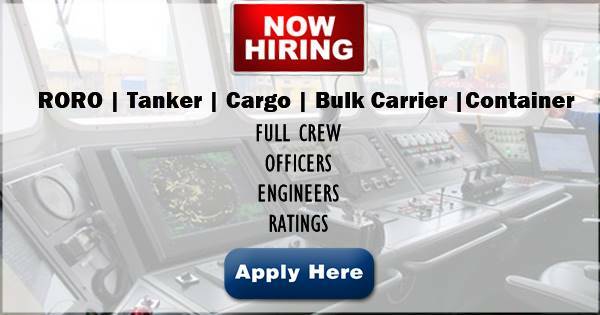 Urgent requirements for Filipino officers and ratings join on RORO, Tanker, Cargo, Bulk Carrier, Container Vessel. INC Navigation Company Philippines Inc. Commenced business operations in 1979 as an independent crew management company providing Interorient Shipmanagement and other business partners with crewing services. Unit 1701, 17th Floor Raffles Corporate Center F. Ortigas Jr. Road, (Formerly Emerald Avenue) Ortigas Center, Pasig City, 1605 Metro Manila - Philippines. 0 Response to "Urgent Crew RORO, Tanker, Cargo, Bulk Carrier, Container Vessel (Philippines)"